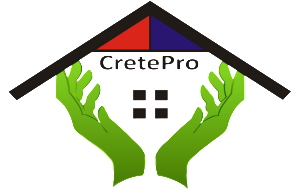 CretePro Solutions was established in 2012. We believe in a hands-on approach when it comes to our customers and we try to deal with every client personally whatever their needs, Big or Small. In our company’s relative short existence we have built up excellent working relationships with various clients. We strive to be best at what we do and our customer satisfaction is our first and foremost priority. We offer the most competitive prices on all our cement products and with the backing of Lafarge the customer can always be sure to get the best possible deal and quality product. The management of CretePro and its personnel strive to offer a professional service to all our clients and we have upmost faith in our product quality. Every client is important to us and we treat every one of them on that principal. Management endeavor to provide an environment where we are accessible to our clients and we feel that it is the only way to really stay in touch with their needs and expectancies.